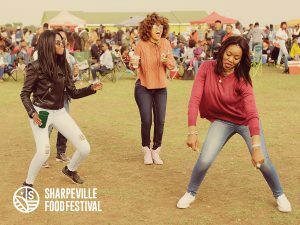 Top township food and music events where consumer brands must feature at. 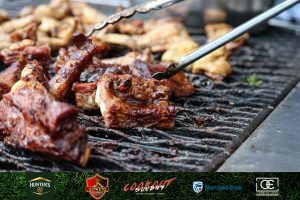 Food is the glue that holds us South Africans together and the introduction of food related events onto the South African market over the last few years, has no doubt altered the entertainment scene irrevocably. 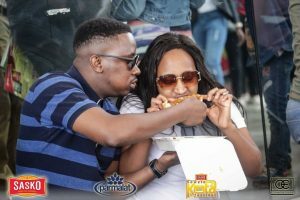 In Gauteng, food festivals originally started popping up in Joburg CBD and Braamfontein, but very soon, the trend spread like wildfire to our townships in Joburg and surrounds. 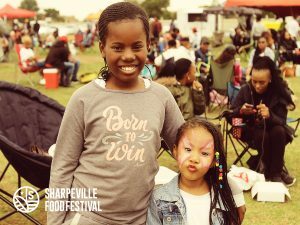 Arguably, due to DSTV Delicious events such as Cookout Sunday, the Sharpeville Food Festival and the Soweto Kota Festival, etc., the foodie trend food also extended further to Soweto and other regions like the Vaal Triangle. 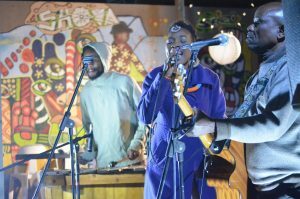 Whichever way, right now, it’s hot, it’s hip and it’s happening, as the upcoming generation and the who’s who on the Afro-chic And urban African social scene are flocking to our townships for music food, and warm, friendly township entertainment vibes. Join us as we explore some of the most popular events that top consumer brands should consider featuring at. 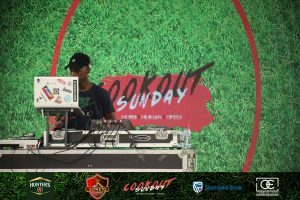 Described by the media as an event that “will most likely leave you with a pleasurable and unforgettable experience of good food, great people and great local entertainment,” the Soweto CookOut Sunday originally started out with a mere 150 people on the Soweto sidewalks. Today, it is one of THE must-attend family-oriented festivals in Jozi, that attracts on average around 8000 people of all ages and from all walks of life. 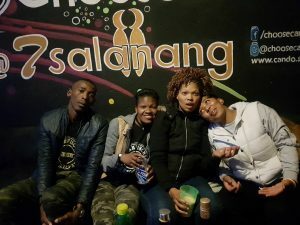 It has also become known for being a benchmark event that flies the Soweto flag high and continues to pull large crowds and new surprises time and again, in spite of zero to very little sponsorship. Families can opt to lounge around on any of the ample number of chairs, benches, tables and couches that are spread out across the venue, or select their own picnic spot on the well-manicured lawns. It also has a kiddies’ corner with a myriad of different activities to keep the children thoroughly entertained. Plus there is a dedicated Playstation lounge for gaming enthusiasts. Entertainment is provided by only the finest local musos and DJ’s from Soweto and the event purposefully caters for different music palates through a variety of ambient and vibey sounds that range from lounge and house, to hip-hop. The event has also featured top artists such as Reason and Stilo Magolide, as well as an international act by Cappadonna from the highly acclaimed Wu-Tang Clan. 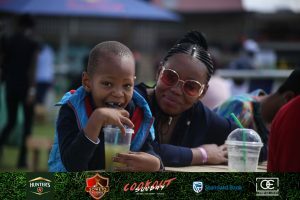 The Soweto CookOut has an average of three sponsors per event and brands that can benefit from exposure at or participation in the event are consumer-oriented brands, as well as alcohol, beverages and family-oriented and food brands such as Tiger Brands. Standard Bank, Coca- Cola, BBC Lifestyle, KOO, Smirnoff, DSTV, Hunters and Peroni. As a spin-off of the event, the organisers have also been able to sponsor the Soweto Pioneers Cricket Club. The festival boasts various food stalls and cocktail bars that serve easy eats such as wraps, burgers and pizzas. Stalls are available at reasonable rates and can be booked a few weeks prior to each event. Most of the vendors sell out as the patrons are known to sample from most of the different selections of food that is on offer. At the latest event Johnny Walker also had a pop-up bar which served various cocktails. Other brands that were present at the event included Red Bull and Smirnoff. 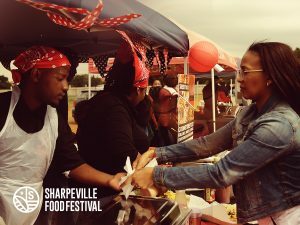 A first-of-its-kind in Sharpeville, the Sharpeville Food Festival made its debut on 28 October 2017 in such a manner that it immediately earned itself a place as “one of South Africa’s coolest food and music events” with a record first-time attendance of 6000 people, which included people from the city streets to the crème de la crème of society. This is no small feat, when one considers that the festival was completely self-funded, with no sponsors. Also suitable for the whole family, this event especially tantalises the taste buds of foodies as the main focus is on food, food and more food, with an assortment of stalls that offer true culinary delights. A unique aspect of the event that can most probably account for its almost overnight stardom, is the fact that it is the vision of the organisers to leverage the festival as a launchpad for funding programmes aimed at uplifting the community, which includes a dedicated school fund for the underprivileged. Set up at the outdoor cricket pitch of the stadium, the festival mostly consists of food stalls, with a variety of places and spaces where audiences can sit, eat, relax, listen to music and enjoy the vibe. 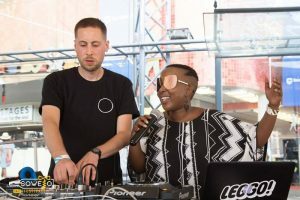 The first Sharpeville Food Festival saw participation from an impressive list of popular local artists and DJ’s, including the legendary international house musician Harrison Crump, who hails from the USA. Music genres varied from hip-hop and dance hall, to house. As food lies at the heart of this festival, brands that could benefit most from participation, includes the likes of Sasko, KOO, Royco, Nola, Checkers, White Star Maize Meal, Coca Cola, Inkomazi, etc. It is also a perfect platform for other consumer-related brands to gain mass exposure, such as Nedbank, Mzansi Magic, Lesedi FM and many more. Stalls are available at highly reasonable rates. 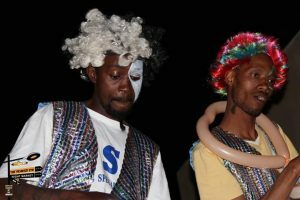 Some call it kota, some call it spatlho and others call it skhambane, but whichever word for it rolls off your tongue, it is a township fast-food dish that everyone loves, to such a degree that the organisers felt it deserves its own festival. Enters the proudly South African Soweto Kota Fest which was first hosted from 16-17 September 2017. And considering the phenomenal participation for a first-time event, the organisers were no doubt onto something. In fact, the event was sold out on both days and more than 500 visitors had to be turned away. 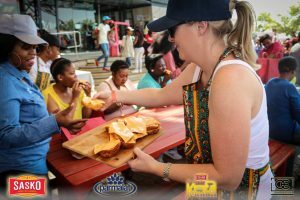 The festival showcased some of the most delicious township kotas, from traditionally prepared ones, to some with a new, modern twist. 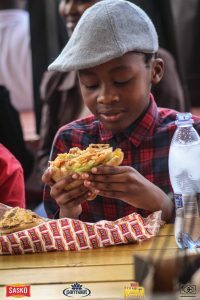 The festival also launched a “Healthy Kota Challenge” in which vendors had to flex their culinary muscle to show who can produce the best kotas, in the healthiest way, with as little as possible salt and oil. 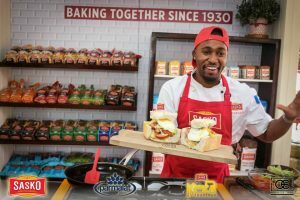 The winning kota chef won an excess of R15 000’s worth of marketing material. The South African Chefs Association (SACA), also participated and came in second. The festival had over 50 kota stalls, a beer garden and a kiddies’ entertainment area with jumping castles and fun activities for the children, like face painting and digital games. Audiences were thoroughly entertained with upbeat live music by some of our most popular local DJ’s. There was also wine-tasting on both days. The festival is an ideal platform for exposure for food- and consumer-oriented brands. 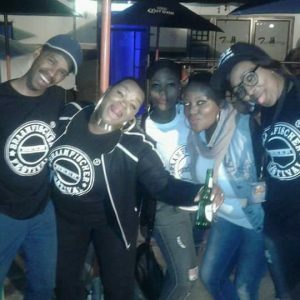 Brands who participated at the first festival are SASKO, Parmalat and Heineken. Wellington also donated sauces to vendors who participated in the event. Participating vendors also benefited from astronomical sales, as there were more than 10 000 kotas sold at the event. As suggested by its name, this market takes place in Vilakazi Street, which has become a major tourist attraction because it is the only street in the world who was once home to no less than two Nobel Peace Prize winners, namely Nelson Mandela and Archbishop Emeritus Desmond Tutu. 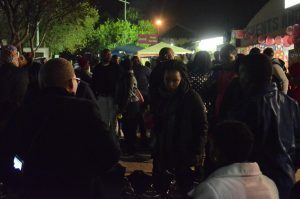 The only night-time market in this famous street, The Vilakazi Street Night Market has purposefully been established to create a platform for the local and international public to buy directly from local artists and entrepreneurs. It also offers a multitude of gourmet food and beverage stalls to sample from. As a result, the market is frequented by fashionistas, socialites, foodies and aficionados of music, arts and crafts. It is also officially recognised by tourism organisations such as South African Tourism, Joburg Tourism and the Gauteng Tourism Authority. 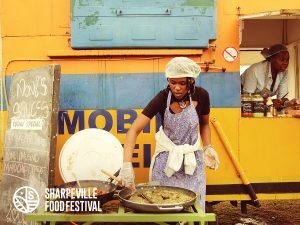 The market takes place in the Shova Lifestyle Origin, which is a boutique events and exhibitionist space that is also conveniently close to other top South African historical attractions such as the Mandela, Tutu and Hector Peterson museums and a number of top restaurants. All this enjoyed against a backdrop that enables a true township experience. Audiences are entertained with live music by top artists and can enjoy a selection of gourmet foods and beverages. 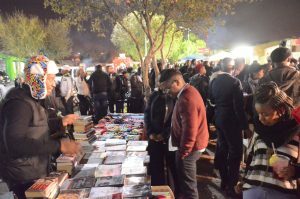 The Vilakazi Street Night Market is a perfect place for local artists and entrepreneurs to showcase their work and obtain exposure to local and international markets. 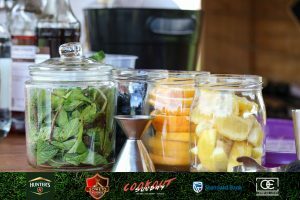 Gourmet food, snacks and beverage brands, as well as lifestyle brands will also benefit significantly by participating. 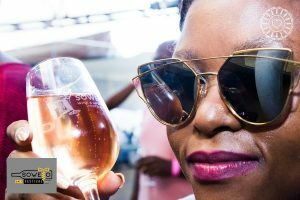 Known for “bringing the vineyards to Soweto and Soweto to the vineyards, the Soweto Wine Festival is firmly positioned as South Africa’s premier lifestyle, food and travel event. Unique to Soweto and established over a period of 13 years, the event creates a space for some of the country’s finest innovators, winemakers, artisan chefs, crafters and entrepreneurs to not only gain exposure to local and international markets, but to also find opportunities to collaborate. The festival attracts more than 8 500 local and international visitors every year, that comprise members from both middle and upper-class society. It also has an exclusive VIP and celebrity section. 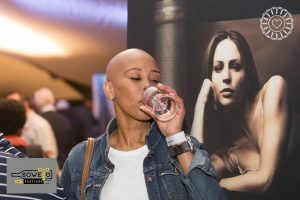 The festival has dedicated exhibition areas for wine, food and travel brands with three VIP platforms that are perfect for hospitality engagements. 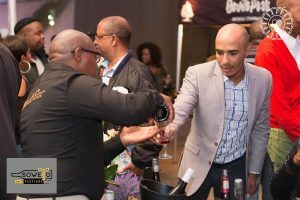 Over the two or three days that the festival is running, it is jam-packed with educational workshops on wine tasting and etiquette and wine pairing, as well as live music and numerous fun activities. This is an ideal platform for any lifestyle, travel, food or wine brand to showcase their products and services to targeted local and international audiences. It also typically enjoys extensive media coverage from the likes of CNN Africa, ETV, SABC and Reuters, to name but a few. In addition, there are different levels of sponsorships to choose from. Best-of-breed brands that have already opted for sponsorship of the 2018 event, includes DStv, Standard Bank, Mail & Guardian, Soweto Theatre and Webtickets. 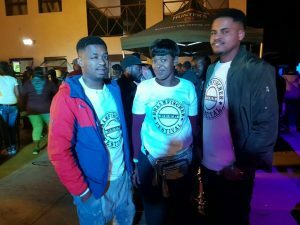 Presented by a Soweto-based events company named 852 Events, the Braamfischer Beer Festival is popular dance music festival that features no less than 30 top DJ’s and is known for pulling record numbers. Festival-goers can also look forward to enjoying an extensive variety of beer stalls, great food and displays of art. Guests are entertained by the vibes and sounds of 30 of the best local DJ’s and musos. 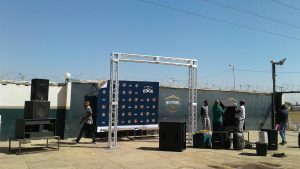 The event is self-funded and currently has no sponsors, except for one brand activator, namely Corona. The festival is an ideal platform for exposure for entertainment, lifestyle, fashion, food and beverage brands. BWD Advertising (BWD) is one of the only 100% black-owned and operated full-service agencies in South Africa, that consists a team who is also fully immersed in the Afro-chic and urban South African sub-culture. We furthermore have an extensive portfolio of clients who are either black-owned businesses themselves, or who provide services specifically aimed at our black Africans. This includes the likes of Wahl, Black Umbrella, NCoded Solutions, House of Nnyane, Royal Investment Managers and Thebe Investment Corporation, to name but a few. To find out how BWD can assist you with positioning your brand at any of these top festivals, feel free to contact us on 011-321 0193 or email info@bwdadvertising.co.za.